Register Now for the 4th Annual OMG Fun Run! Shop or swap with us October 14th! 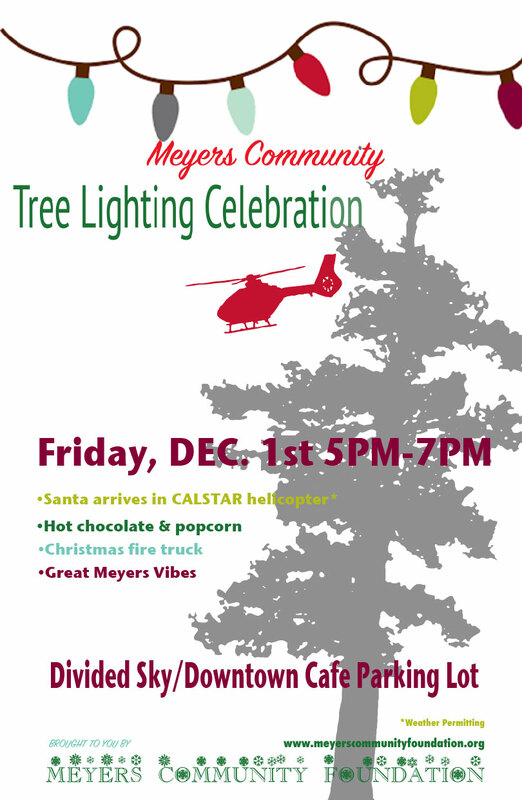 Come Celebrate the 7th Annual Meyers Tree Lighting! Come shop or swap with us! Whether you are a local or a second homeowner in Meyers/South Lake Tahoe, we’re neighbors. The entire community was affected by the Angora fire of 2007. 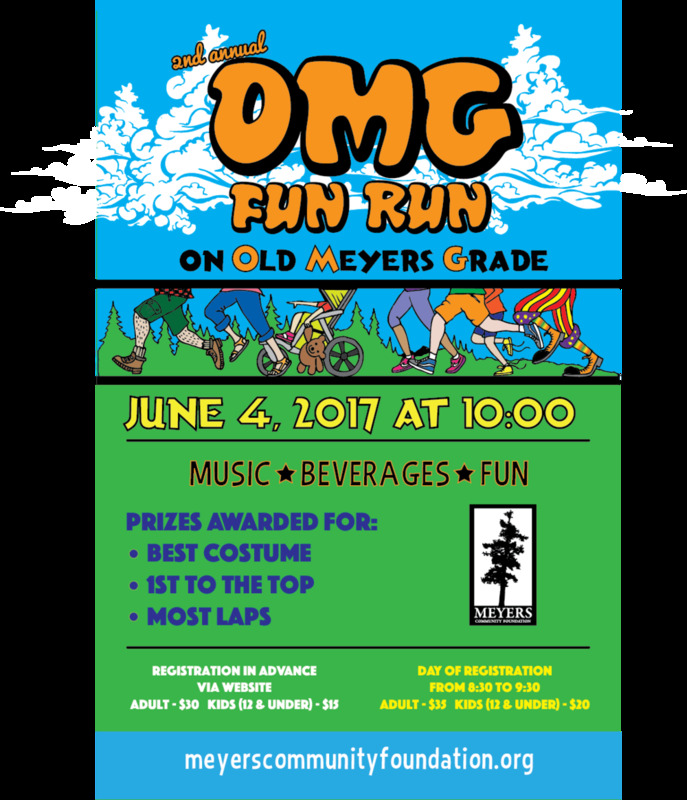 Walk/Run with us at our annual OMG (Old Meyers Grade) Fun Run on June 4, 2017 from 10am-noon. Bring the entire family. Costumes encouraged! Register here. 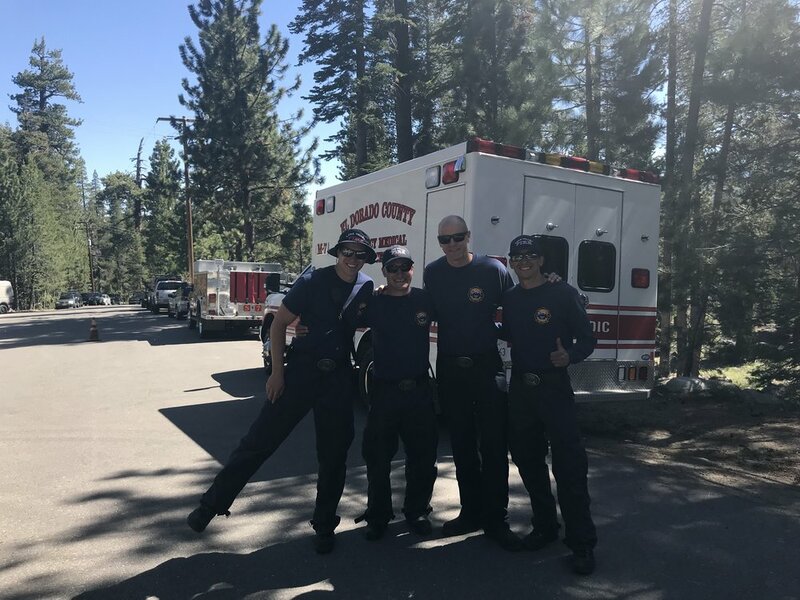 Meet up at the Angora Fire Community Celebration on June 25, 2017 between 10am-3pm at Tahoe Paradise Park. Join the Lake Valley Fire Protection District for a day of fun for the entire family, with food, beverages, live music and activities! We look forward to seeing you to celebrate and remember the Angora Fire with first responders, local businesses and the Meyers community. 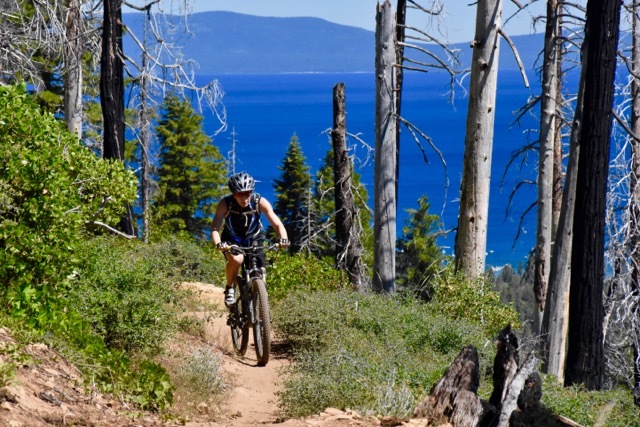 Volunteer with the Tahoe Area Mountain Bike Association (TAMBA). Angora Trail building days for the Angora Ridge/Fallen Leaf trail are set for 6/24, 7/9, 8/13, and 9/23. Learn about twice weekly trail work sessions and more at www.tamba.org. Donate to help us build trail systems in and around Meyers/South Lake Tahoe and support other local projects here. The Meyers Community Foundation is a grassroots nonprofit organization dedicated to improving life in Meyers, California through its support and promotion of creative and sustainable local projects and community-enhancing events. Stay connected to the Meyers community! Meyers Community Foundation is a 501(c)(3) (#46-3770454). Register now for the second annual OMG Fun Run to be held Sunday, June 4 from 10am-12pm at the Old Meyers Grade in Meyers. Registration is now open through midnight June 3. Advanced registration is $30 for adults and $15 for children (12 and under) and includes a free OMG t-shirt. Kids under 5 attend free. Registration the day of the event is $35 for adults and $15 for children and will be held onsite at Old Meyers Grade from 8:30-9:30am. About 200 runners kicked off last year’s inaugural event, and for a few hours leopards, butterflies, world-class athletes and even a wagon train lined the grade. Costumes are encouraged and this year the best costume will receive a prize. Additional prizes will be awarded for the 1st to Reach the Top and Most Laps for the man, woman and child (12 and under) divisions. Winners in each category and participants who complete at least three laps will have their names posted on our website after the event. Old Meyers Grade is located .1 miles up South Upper Truckee Road. The course gate-to-gate roundtrip is 2.6 scenic miles. The event will be held rain or shine. Refreshments will be provided. The OMG Fun Run is presented by the Meyers Community Foundation, a 501(c)(3) dedicated to improving life in Meyers. Proceeds from the event will go to fund, support and promote creative and sustainable projects community-enhancing events in Meyers. A Beacon Basin for avalanche transceiver practice and training is now open at the Lake Valley Fire Protection District (LVFPD) station in Meyers. As more people are getting out in the Tahoe backcountry, there is an increased need for individuals to learn how to use their avalanche safety equipment. The Beacon Basin is open Thursday through Sunday throughout the winter months. The Meyers Community Foundation and Sierra Avalanche Center have donated the majority of funds for the Beacon Basin equipment to the fire department. 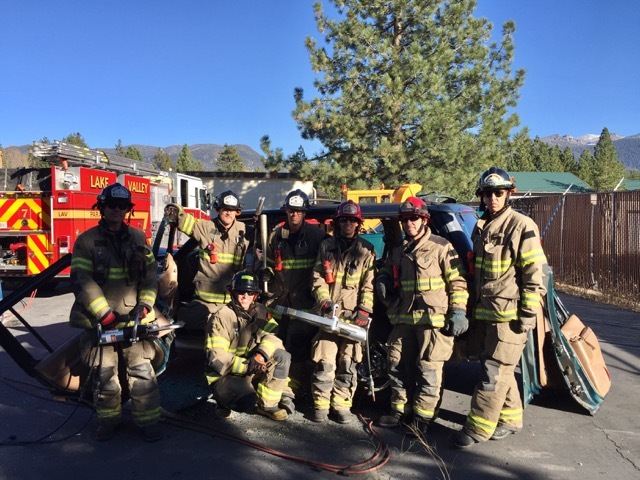 The Lake Valley Fire Protection District will maintain it and coordinate free transceiver trainings once or twice per month. The Meyers Community Foundation would like to help raise the remaining $1000 to pay for the Beacon Basin, and are reaching out to the community to get involved. Those interested in donating toward the Beacon Basin please go to http://www.meyerscommunityfoundation.org/take-action/. All funds received will go toward the Beacon Basin and are tax deductible. Additionally, the LVFPD is offering free air canister refills for backcountry airbags. The airbags keep people on the surface in case of an avalanche and are now required for ski patrol at almost every ski resort in the country. As the service is free, it will allow people to practice pulling the air bag prior to heading out on the mountain. The Beacon Basin will not be open during larger storm cycles because of snow removal operations. For updates on trainings or announcements regarding the Beacon Basin, go to https://www.facebook.com/LakeValleyFire/ or call (530) 577-3737. The Meyers Community Foundation is a 501(c)(3) dedicated to improving life in Meyers, California through its support and promotion of creative and sustainable local projects and community-enhancing events like the annual holiday tree lighting and the OMG Fun Run.